Rhinoceros Plug-ins. RhinoStatics offers calculations from within your Rhinoceros model. RhinoStab offers stability calculations from within your Rhinoceros model. RhinOffsets creates a table of offsets from your Rhinoceros model. RhinoLR enables Linear Regression Analysis of an unlimited number of points in Rhinoceros. And GHSView provides interactive viewing of GHS files and conversion to DXF format. 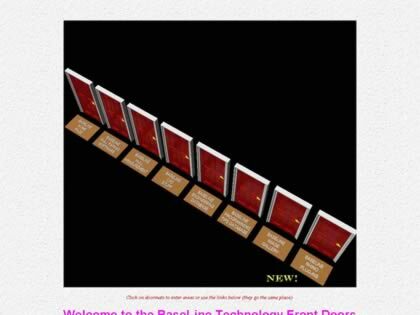 Web Site Snapshot: If available, above is a snapshot of the BaseLine Technology web site at http://www.basline.com/ as it appeared when this site was added to the directory or last verified. Please Note that Boat Design Net has no involvement with the above web site; all content and images depicted in the above thumbnail are the property and copyright of BaseLine Technology unless otherwise noted on that site. Description: Rhinoceros Plug-ins. RhinoStatics offers calculations from within your Rhinoceros model. RhinoStab offers stability calculations from within your Rhinoceros model. RhinOffsets creates a table of offsets from your Rhinoceros model. RhinoLR enables Linear Regression Analysis of an unlimited number of points in Rhinoceros. And GHSView provides interactive viewing of GHS files and conversion to DXF format.